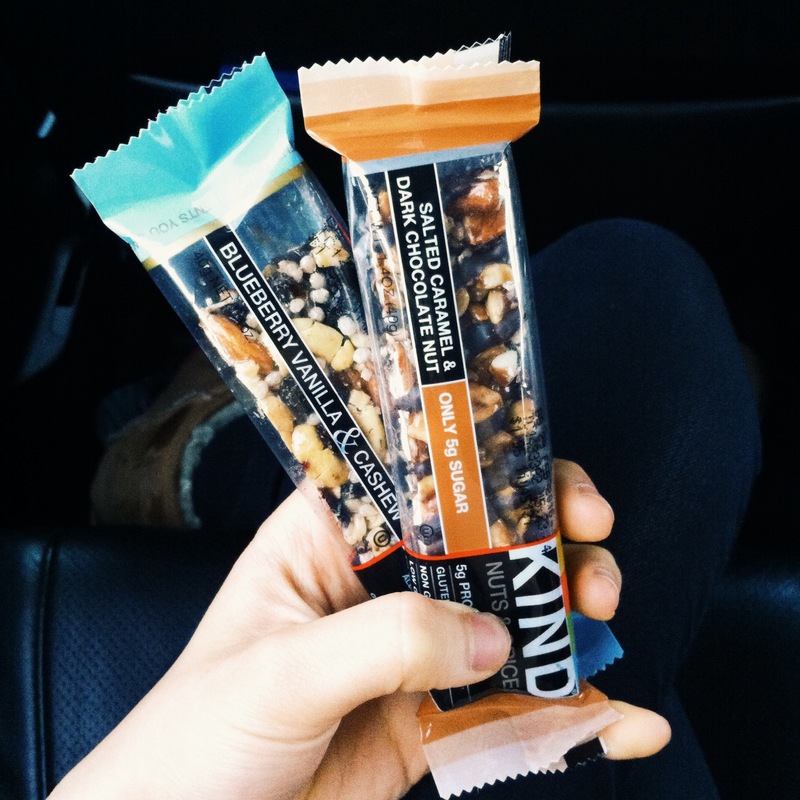 The Best KIND Bar. EVER. Before I get into the whole magical fancy-schmancy anecdote below, I have one thing to say about these FDA shenanigans that made accusations against KIND snacks for false health claims. Get with the program. Three grams of saturated fat instead of one? Is that really going to stop me from diving into my peanut butter jar? Yeah NO. Anyways, I think that topic is way too exhausted by the media for me to elaborate, so let’s get on with this happily ever after tale. Yes. I have a love story with food–this is why I’ll never get married. I’ve never seen it before, until I walked into Starbucks with a breakfast of a banana and two small hard-boiled eggs. I walked towards the cash register with water and it called my name. My eyes were pasted to its shiny surface. I couldn’t stop the awe. I quickly returned to the cash register and bought the bar. Let me just tell you doing so was not a mistake at all. In fact, I would’ve regretted it more if I didn’t! This isn’t new to some of you, but when I found out that KIND has a Salted Caramel Dark Chocolate Nut bar, I was ecstatic. If you’re oh-so curious, one of these babies is 200 calories, 15 grams of fat (3.5 saturated healthy peanut fat), 16 grams of carbs, 6 grams of fiber (wowza! 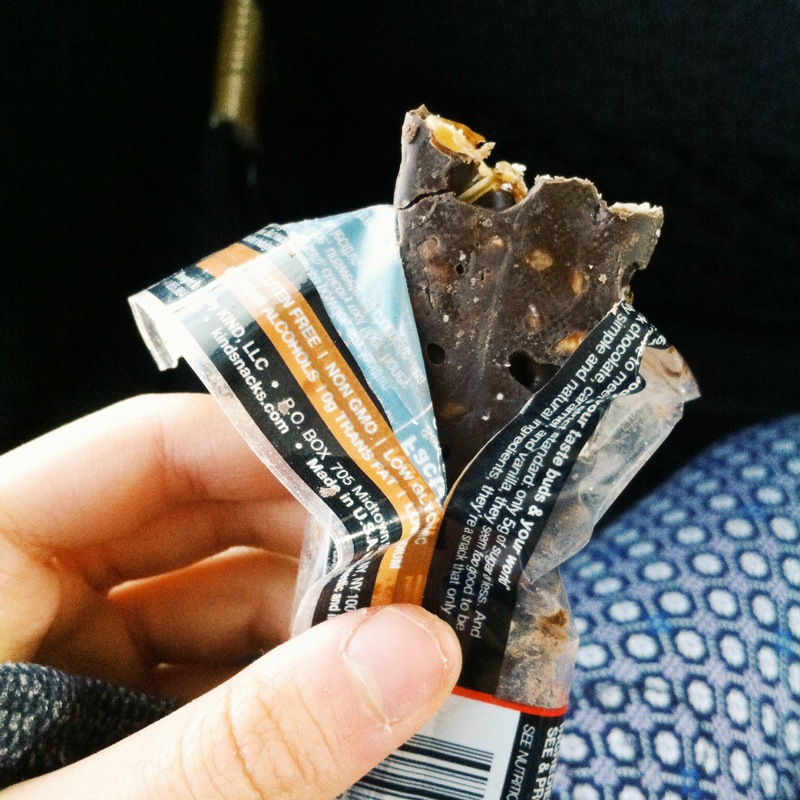 ), 5 grams of sugar and 5 grams of protein, so it’s pretty typical of KIND bars. 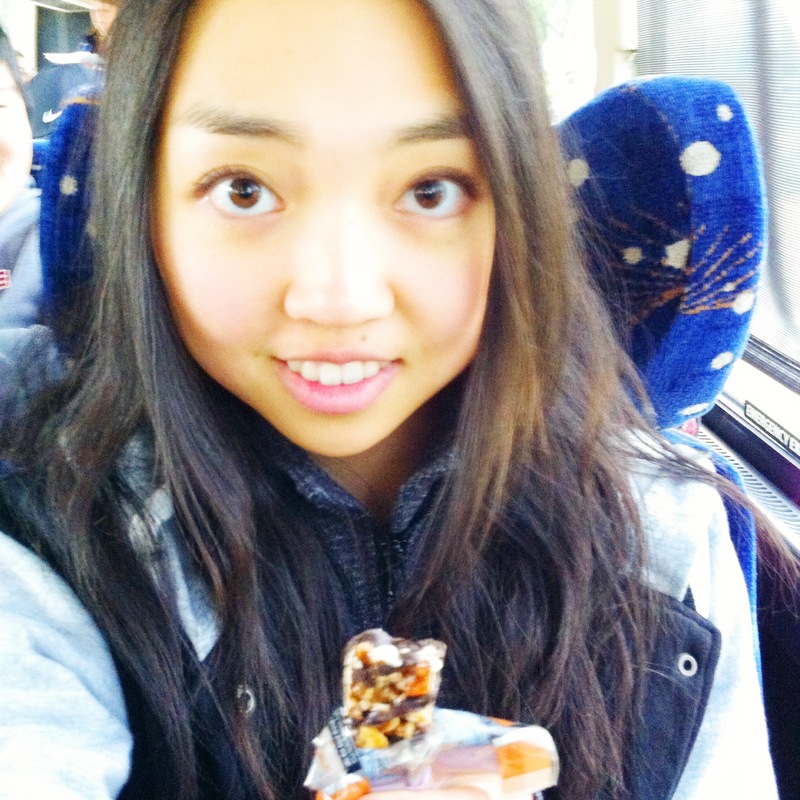 My sister also bought a Blueberry Vanilla Cashew bar, which is her favorite flavor. I can pretty much say Salted Caramel & Dark Chocolate Nut is one of mine! 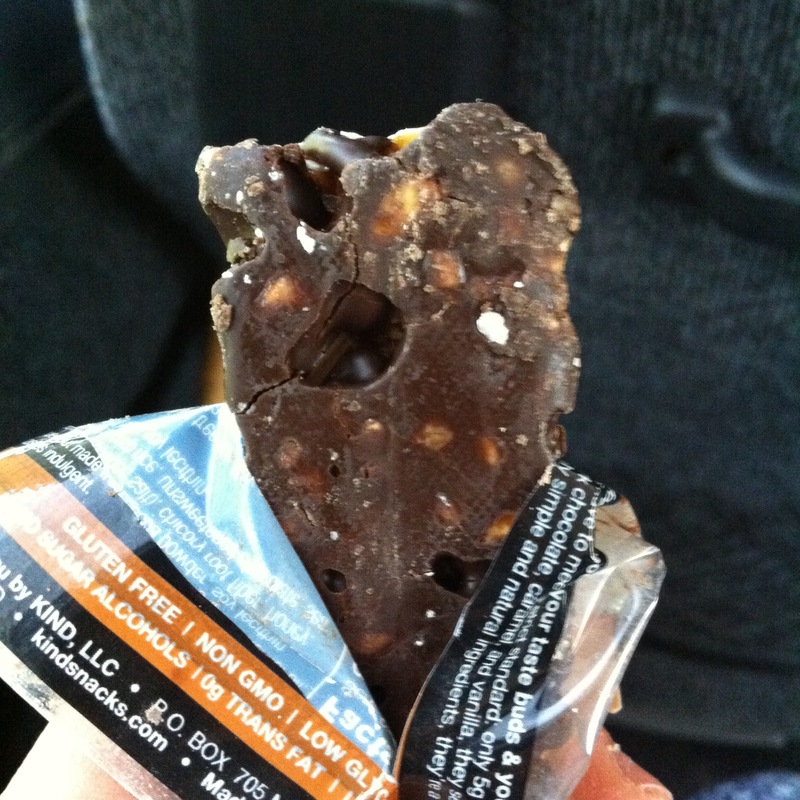 I unpeeled the wrapper and found it covered in a silky layer of dark cocoa just like the Dark Chocolate Nuts & Sea Salt bar. Took a teensy little nibble. Somehow I turned into the Jurassic Park tyrannosaurus rex and ate the whole thing! How odd. You definitely know I despised it!